This summer I have decided to introduce some of my recipes based on well-known international dishes from my travelling experience, and my working experience as a chef in a London five-star hotel kitchen. 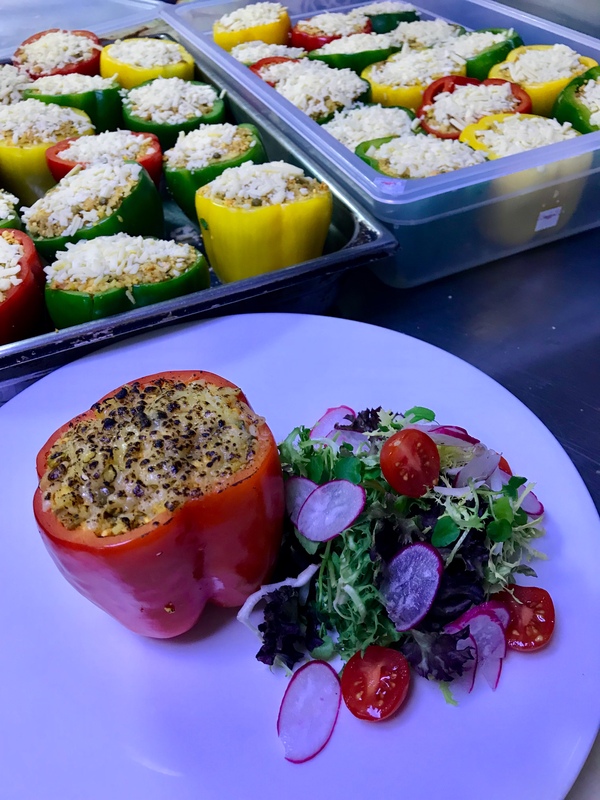 I start with a pure vegetarian dish, stuffed peppers. In a pan heat the oil, add chopped mushrooms, spring onions and grated carrots and cook for about 10 minutes. In a bowl mix together the rice, parsley, sage and onion mix, cooked vegetables and half of the cheese. Check the seasoning. Wash the peppers and carefully slice the lid off (you can chop this and use it in the recipe), and de-seed. 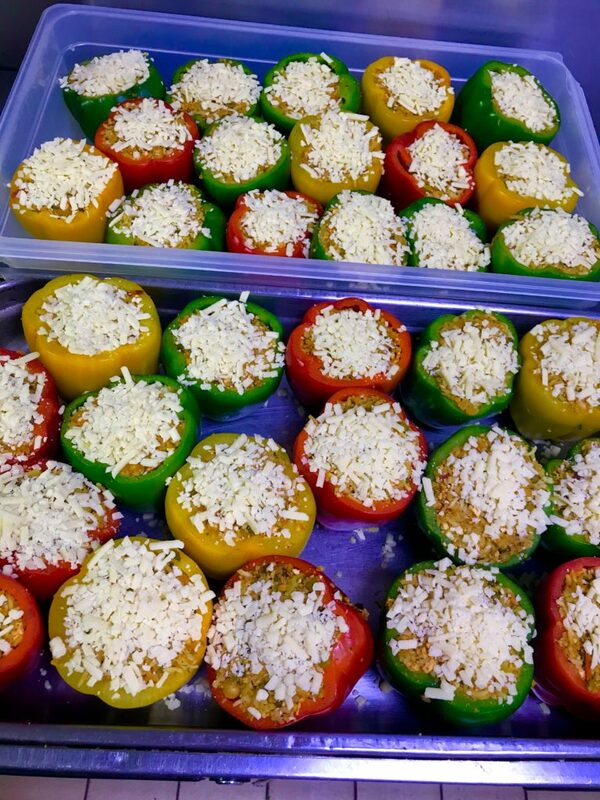 Fill up the peppers with the rice mixture, and arrange on a baking tray or dish. Sprinkle with the leftover cheese and bake in a hot oven for 15 to 20 minutes. This entry was posted in International Cuisine.